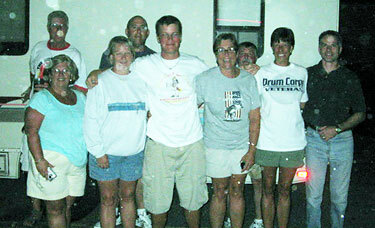 Last year I had the privilege of meeting a group of die-hard drum corps fans that all marched together years ago in Foxboro, Mass. We made plans to see each other at the Allentown (Pa.) major event this year. After the show, we all met up in the parking lot and exchanged hugs and stories. I look forward to hopefully meeting up with them every year until I age out in 2011!